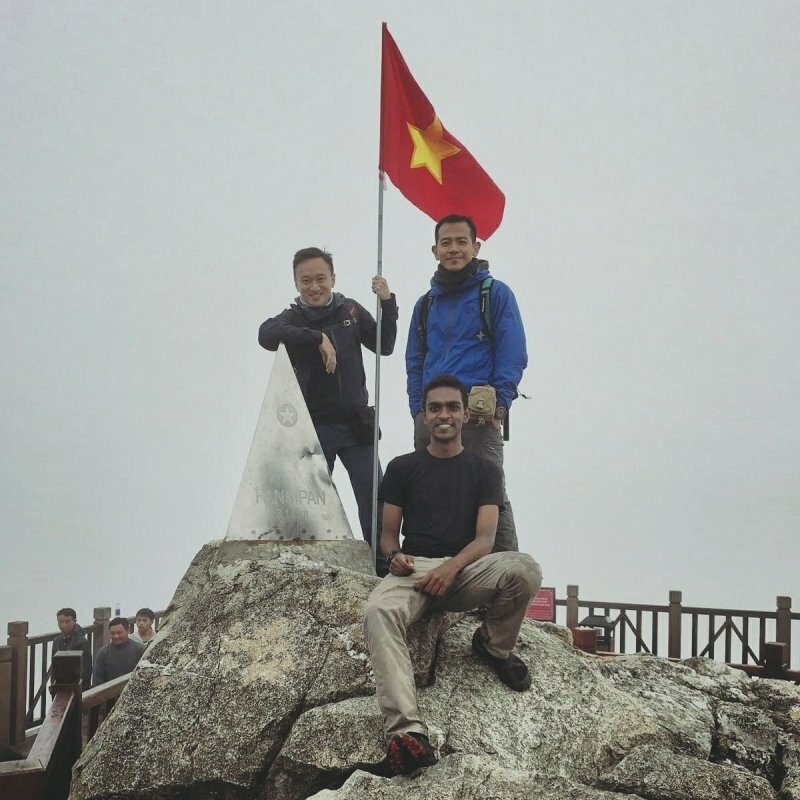 A traveller recounts his 2D1N climb to the summit of Mount Fansipan which includes lots of scenic viewpoints, an overnight stay in a hut, plus a ride down via the cable car. 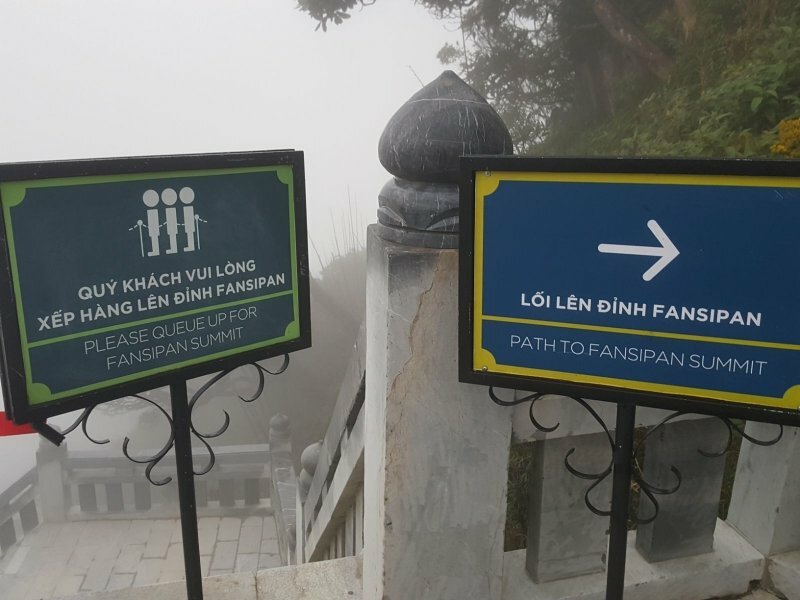 Mount Fansipan (Phan Xi Păng) is located in Sapa, a town in the Lao Cai province in Northern Vietnam. 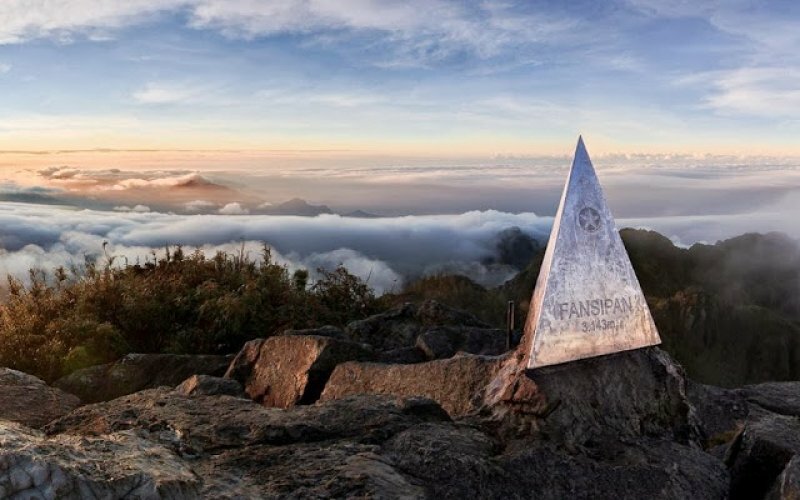 Fansipan is often dubbed ‘the Roof of Indochina’ as it is the highest peak in Vietnam, Laos and Cambodia at a height of 3,143m. In can be ascended in a 2D1N climb although there is an option to do a longer 3D2N route too. Many accounts of climbing Fansipan on the internet were written prior to the completion of the cable car. This article will serve as a guide to climbers who are interested in climbing Fansipan after February 2016. 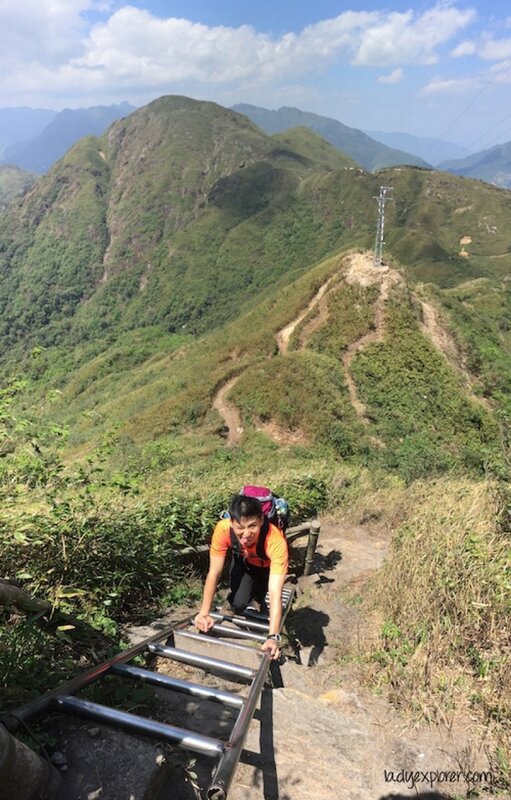 Prior to 2016, Fansipan used to attract at least 100 climbers daily. In February 2016, a cable car was built that took one from the foot of the mountain to a station near the summit. From the cable car station, 630 steps separate you from the summit itself. 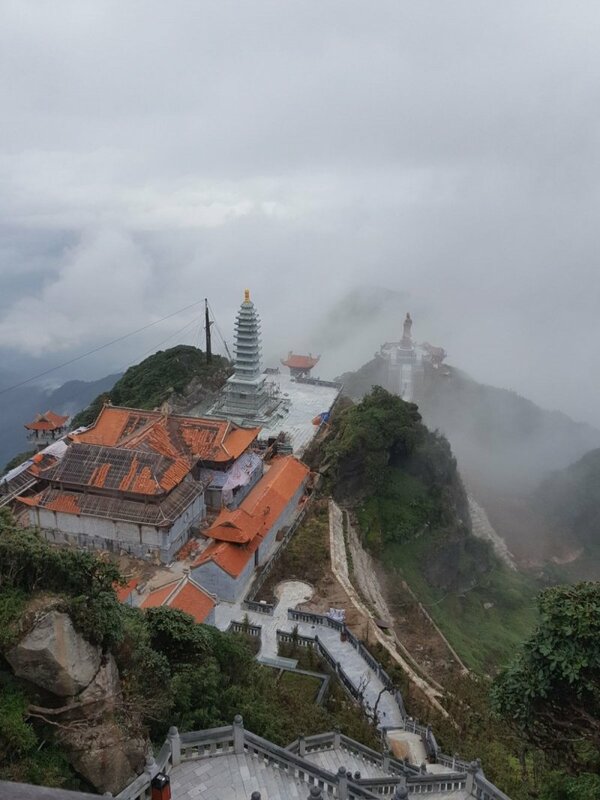 Since the cable car was built, the Peak of Fansipan has seen a surge of visitors. 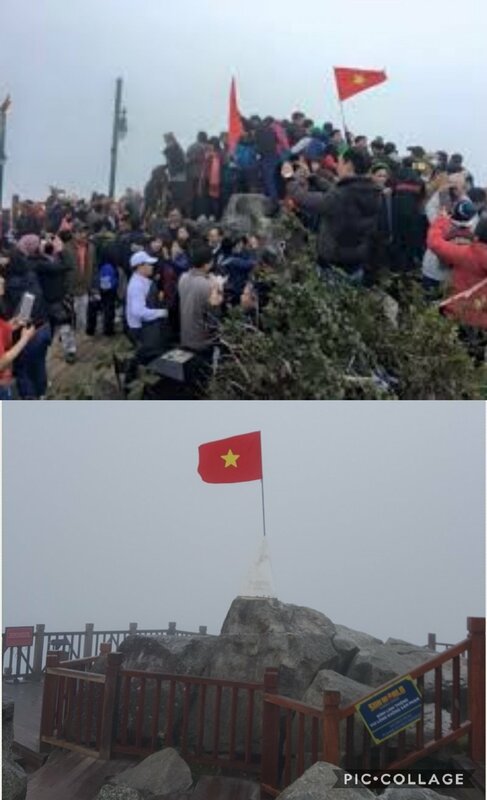 Many of these tourists come from China as Lao Cai is near the Chinese border. What previously took 2 to 3 days could now be achieved in 15 minutes and 600,000 Vietnamese Dong (USD 22). 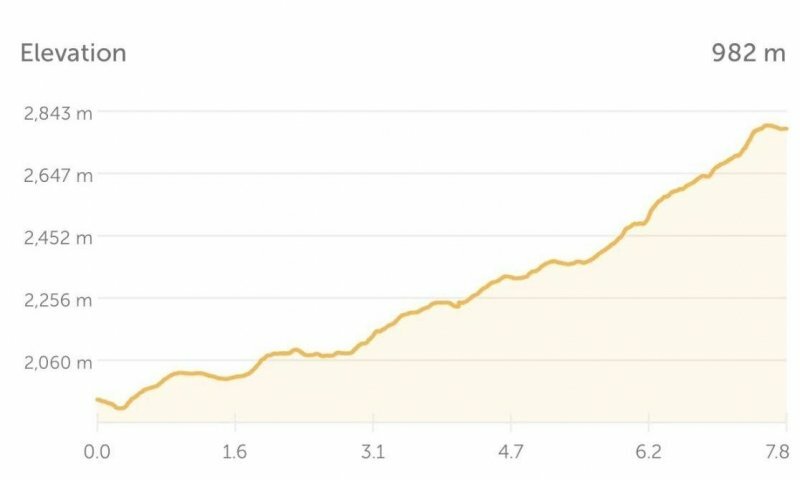 Needless to say, the climbing industry took a hit and saw a 70% decline in the number of climbers. 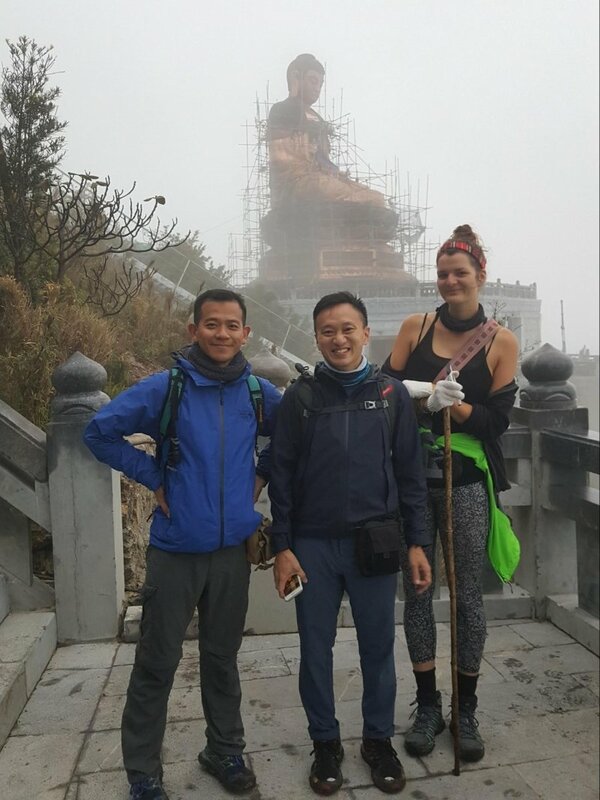 Not all of these climbers opted for the cable car – some avoided Fansipan altogether as they believed that the cable car has turned the summit into a tourist trap. 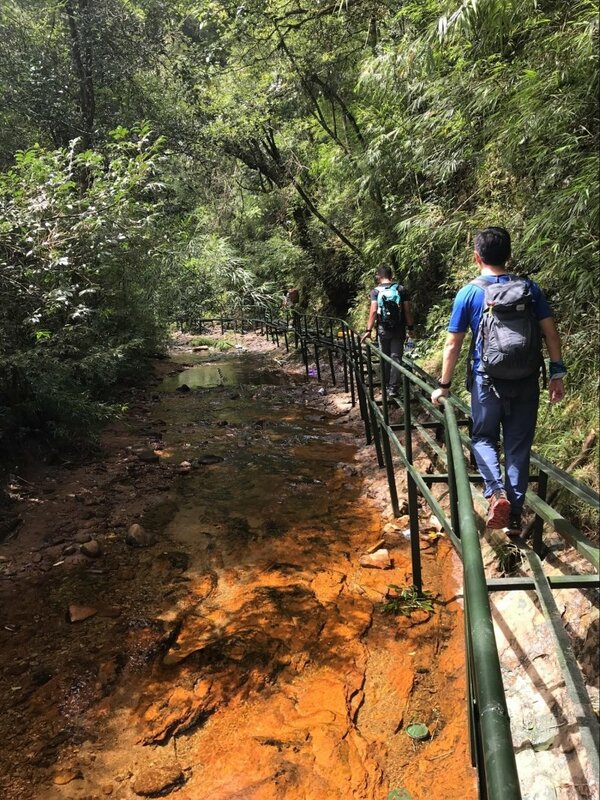 Having tried both the climb and the cable car, I will present my conclusion on the best way to experience Mount Fansipan at the end of this article. 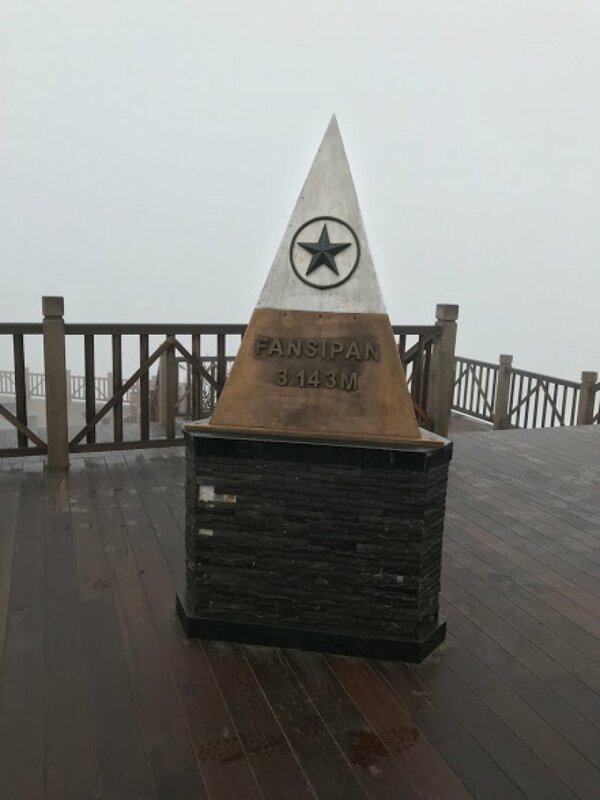 As of October 2017, it is not possible to climb Mount Fansipan without a guide. 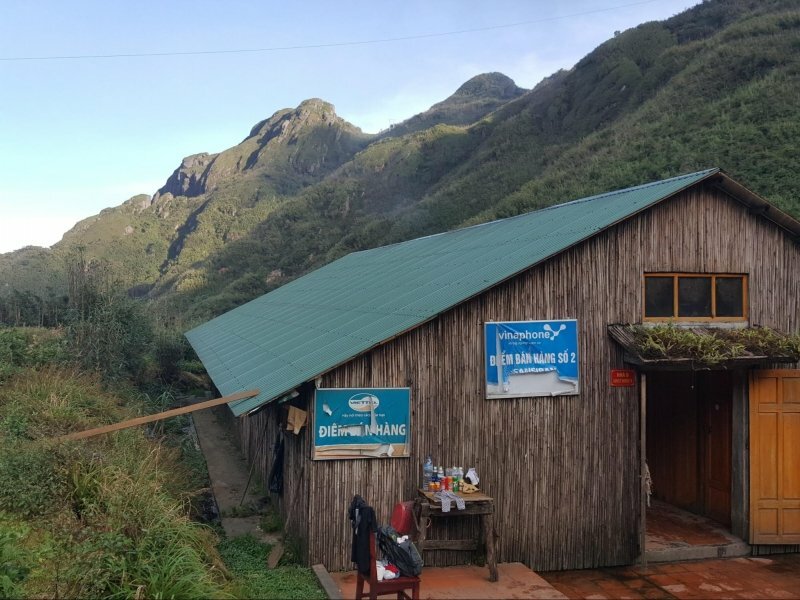 As most guides are attached to tour agencies, a convenient place to arrange a climb would be at one of the many agencies in Hanoi or Sapa itself. 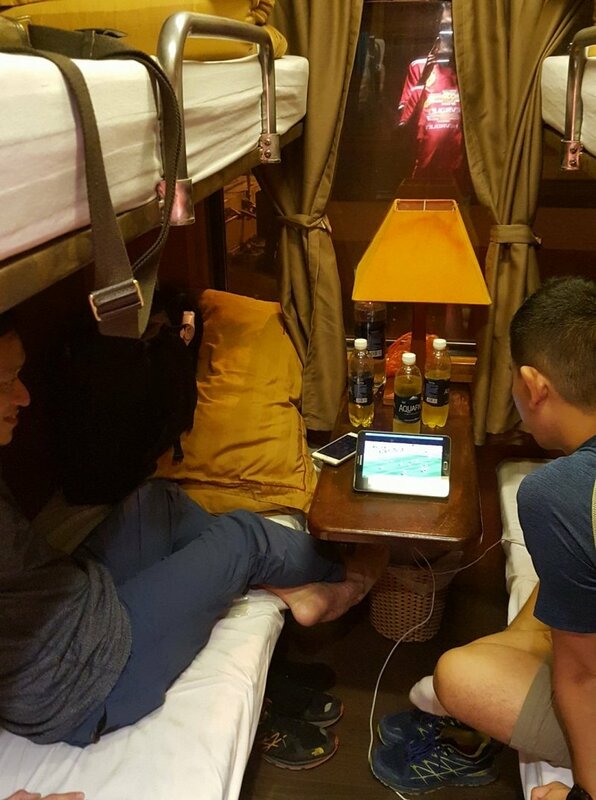 The prices quoted in Hanoi usually include train tickets between Hanoi and Sapa (a relatively comfortable eight-hour overnight journey). The alternative mode of transport between Hanoi and Sapa would be via bus (around 5-6 hours). 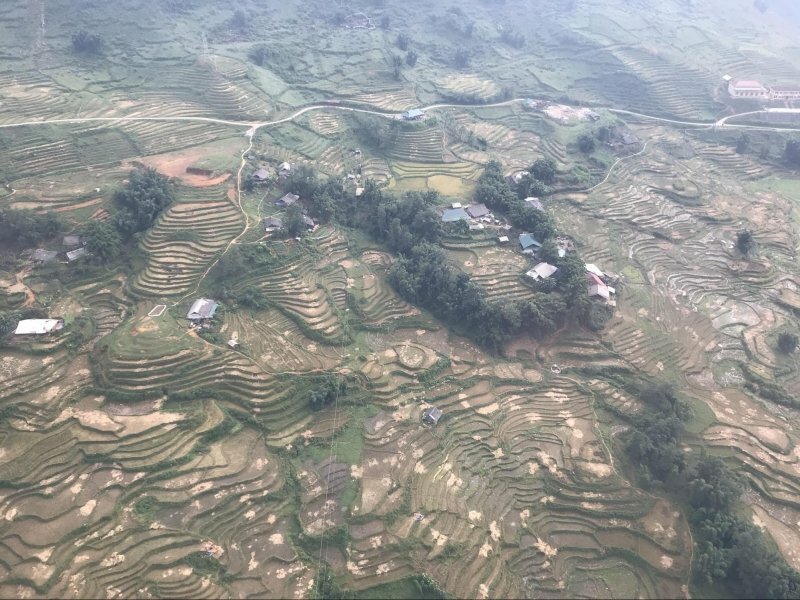 We reached Lao Cai at about 5.30am after an eight-hour train journey. From the Lao Cai train station, an hour-long drive will take you to Sapa town. The climb usually starts at 10am so we had about three hours to take a shower and have breakfast. 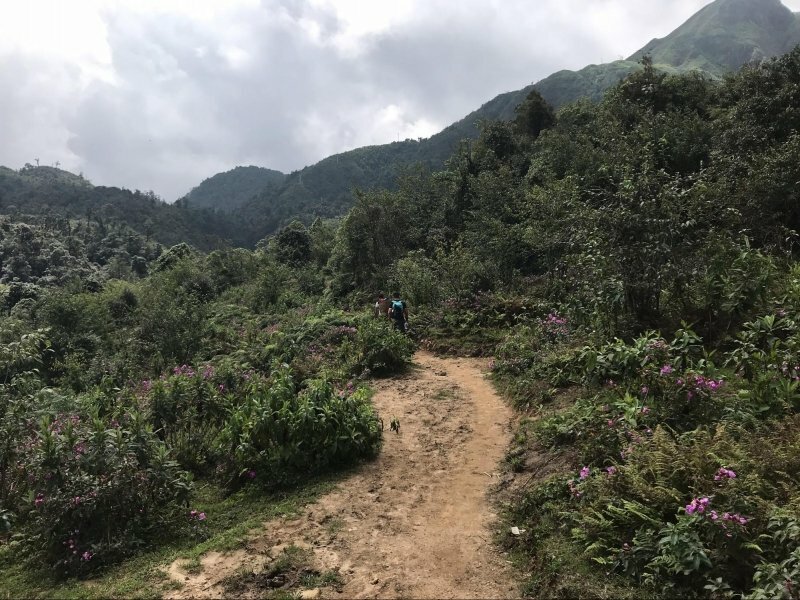 The starting point of the climb is only two kilometres from Sapa but the drive usually takes about 30 minutes as the road is a narrow one and cars have to give way to heavy vehicles. 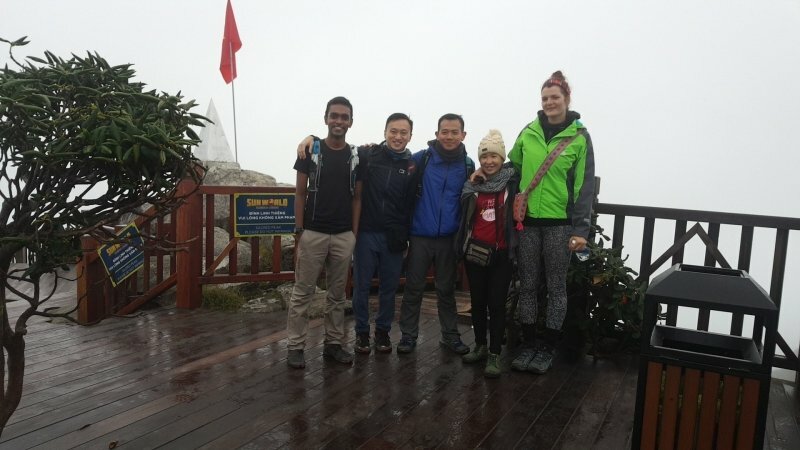 At the starting point, which was about 1,800m above sea level, we were introduced to our guide, Sun. Sun was only 21 years of age but he already had three years of climbing experience under his belt. 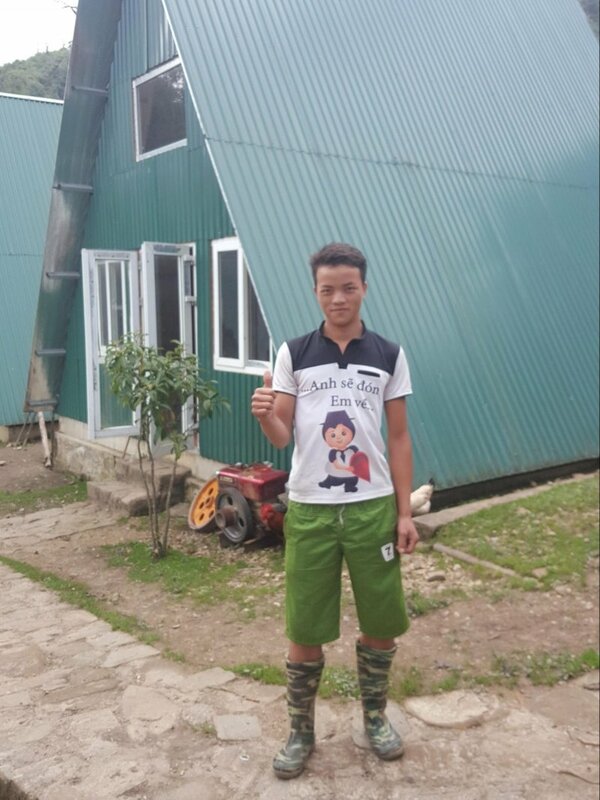 Like most guides on Fansipan, he belonged to a hillside tribe. There are about five main tribes in the Lao Cai province. He was from the ‘Black Monk’ tribe. He took about five minutes to help us register with the security post before we embarked on our climb. We set off at about 11.20am and we aimed to reach Camp 2 (at 2,700m) before sunset. There, we were to have dinner and rest for the night before resuming our climb at 2.30am the next day to catch the sunrise. 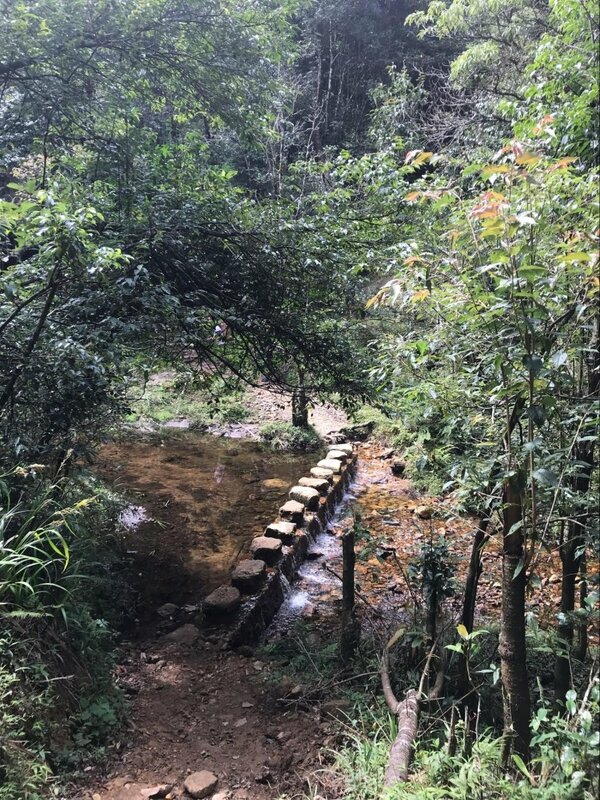 Most of Fansipan is covered by dense forests but it does get pretty hot and humid when the sun is up. However, the temperature drops rapidly after sunset and can reach lows of about 8-10 degree Celsius. 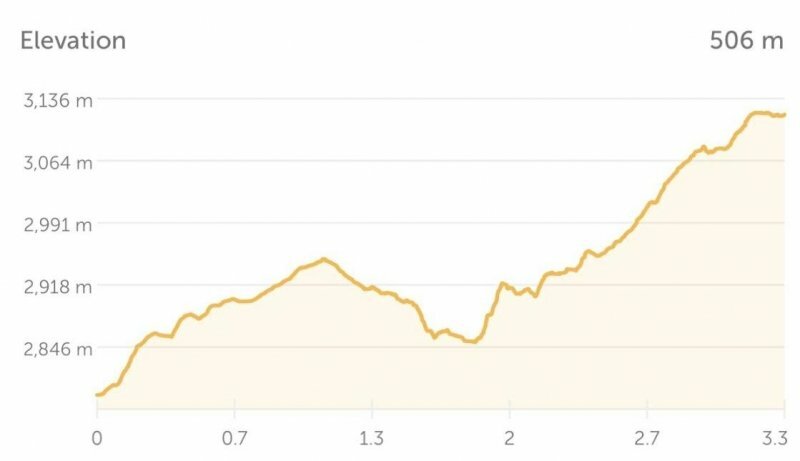 The first few kilometres will see a fair amount of descending and there are a few river crossings. A unique stretch was when we had to balance ourselves on two metal beams for about half a kilometre. Losing our balance wouldn’t result in anything fatal, but it would have been a real messy situation. We reached our lunch stop at about noon and had Banh Mi for Lunch. Camp 1, where we had Lunch. Aside from the lunch stop at Camp 1, there are no designated rest stops along the way. 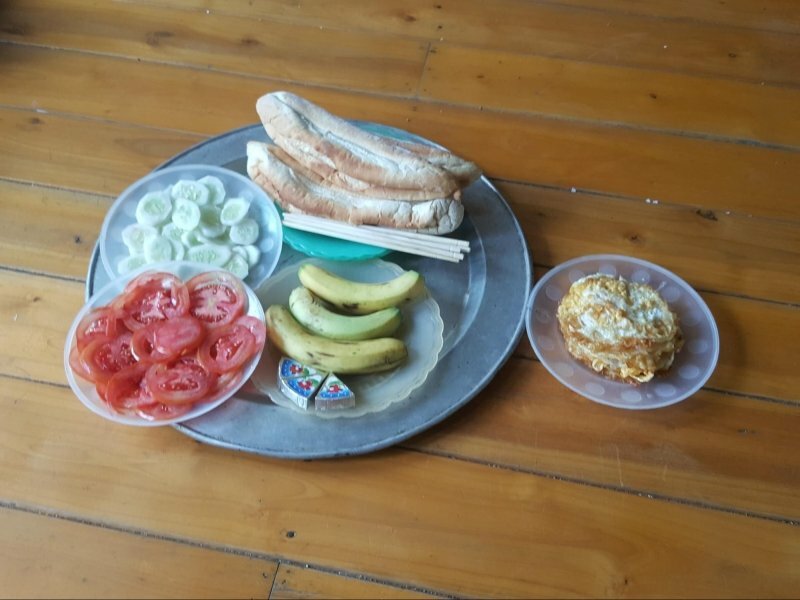 However, our guide Sun did make sure that we had about 5-10 minutes of rest every hour by stopping at strategic locations that give the legs a rest but provide a feast for the eyes. At one of these rest stops, I asked Sun if I could try carrying his rattan bag. The moment I donned it, I had nothing but admiration for Sun. That thing easily weighed at least 25 kilograms. It was hard enough just to walk with that on my back. After lunch, the climb increased in steepness and technicality. There were a few stretches where we had to climb ladders and balance on small footrests and handgrips while traversing across rock faces. We also had to help one another over large boulders. During those stretches, I couldn’t fathom how Sun could maintain his balance while carrying the rattan basket. It was hard enough just to walk with that on your back. Sun later shared with me that as the climb went on, the bag will actually become lighter as the bulk of the weight comes from the ingredients that will be used to cook our lunch, dinner and breakfast. There were a few tricky situations where we had to help each other over large boulders and also use stumps as footrests and grips. Some sections that were extremely steep also had a rope that you could hold onto for balance. The climb after lunch was certainly more strenuous than the stretch before lunch. We climbed for about 2.5 hours before reaching Camp 2 at 3.30pm. Including our hour-long lunch break and rest breaks, we took about five hours and covered a distance of eight kilometres. Our beds atop Mount Fansipan. We were the first to reach Camp 2 and still had about two hours or so until dinner. The hut has about 10 rooms. 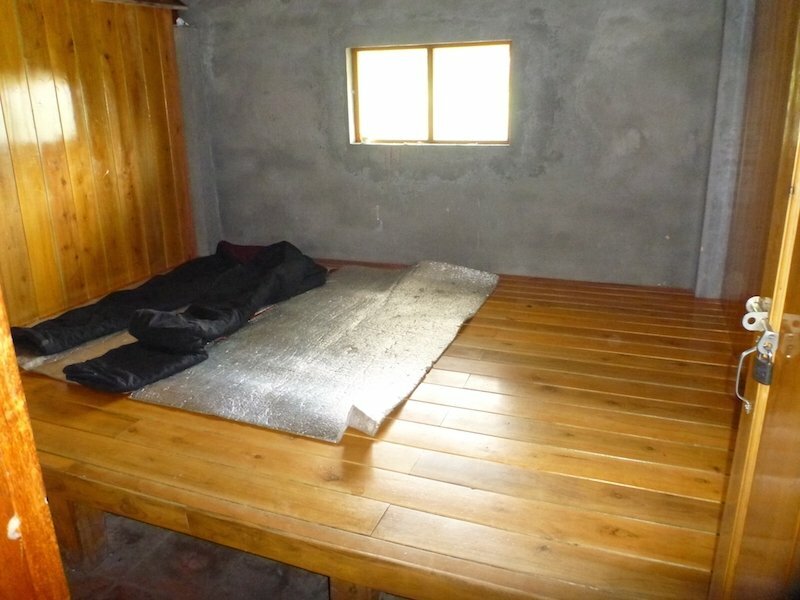 The rooms are all the same, with a shared tin roof and an elevated platform for sleeping. Sleeping bags were provided too. The toilets are communal. During our time there, there was no electricity and only a few working taps, so do remember to bring along your power banks to charge your electronic devices. Also, as there are no water heaters, you are probably better off with a powder bath. With Prickly Heat, who needs showers? 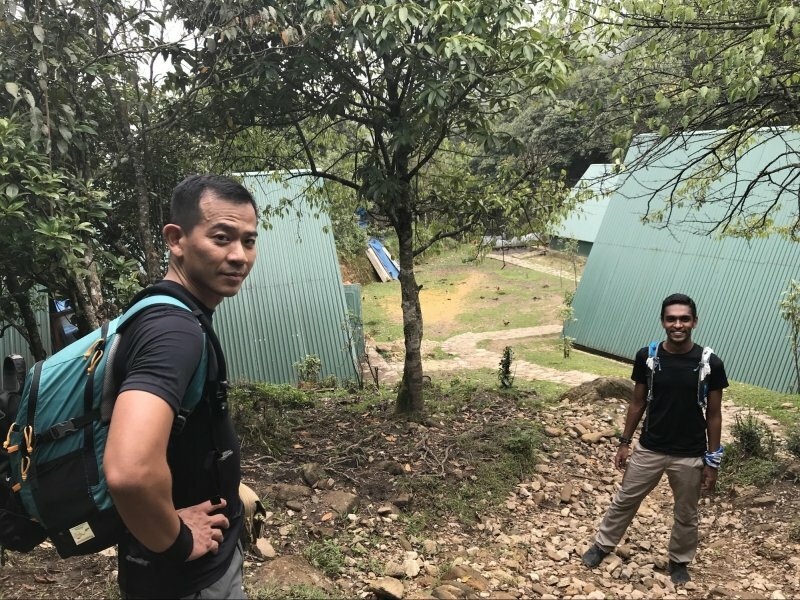 A picture of Camp 2 with Fansipan’s summit (leftmost peak) in the background. As dinner was being prepared, we waited outside the hut and mingled with fellow climbers. There were about 20 of us there on the evening of 24th September. The temperature began to drop rapidly and our friends from Belgium decided to start a bonfire. 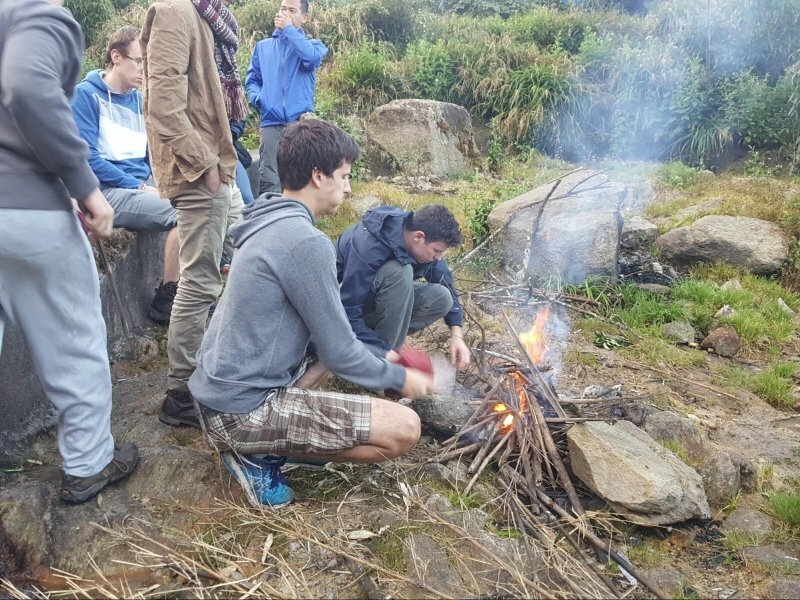 Being Singaporeans, we had no experience with bonfires, so it was an interesting experience to help the collect wood and keep the fire burning strongly. It was a pretty awesome evening, as we huddled around the fire with our new friends under a cloudless sky full of stars. Sun whipped up a scrumptious dinner for all of us. We had rice, tofu, chicken and vegetables. After dinner, we had a short ‘Mot, Hai, Ba, Dzo’ (that’s Vietnamese for 1, 2, 3, Cheers!) session with Hanoi Beer and had some great conversations with Sun. 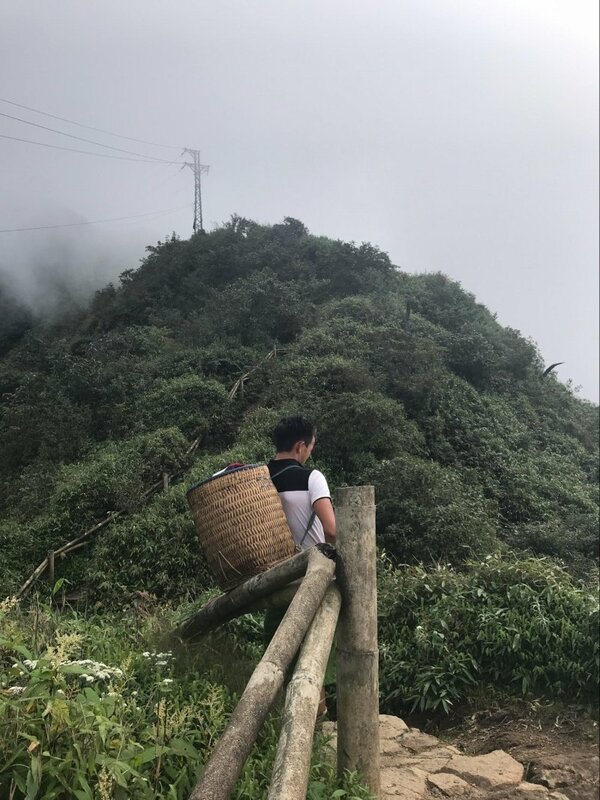 Sun shared with us that many of these climbers were young Vietnamese couples as it was believed that the ultimate test of love is to summit Fansipan together. We told him, half-jokingly, that if we tried something similar with our Singaporean girlfriends, we wouldn’t have a girlfriend anymore. We retired for the night, or at least attempted to, at about 9pm. 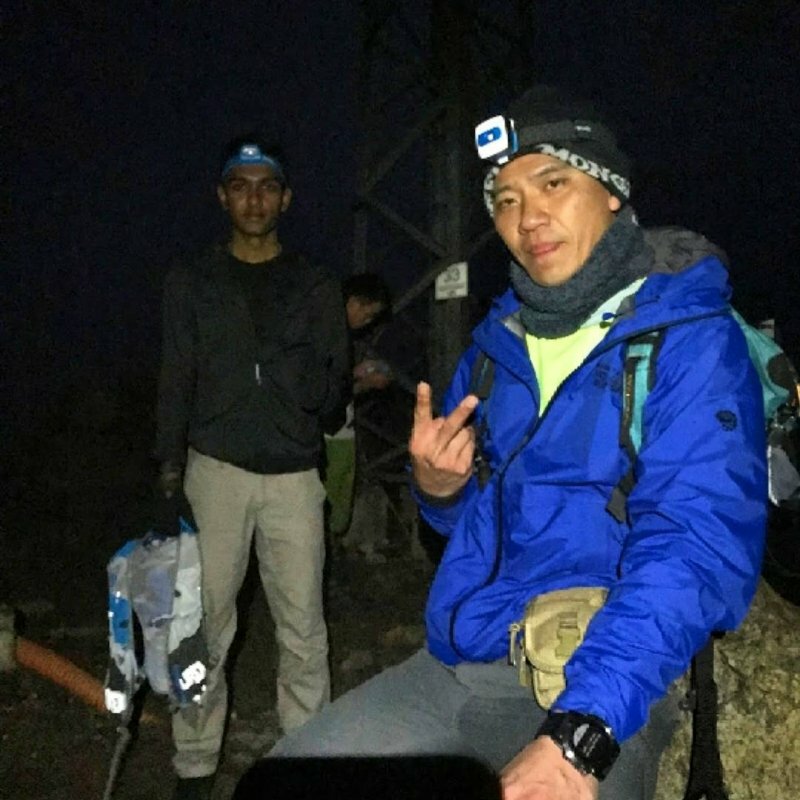 The next morning, we got up at 2.30am and had instant noodles with eggs for breakfast and left for the summit at 3am. If you are planning to climb back down, you can choose to leave your bags and non-essentials in the hut. But if you are taking the cable car, or want to keep your options open, it’ll be best to take everything along with you. On paper, only 300m of elevation stood between Camp 2 and the summit. In reality, it was going to be more as some steep descends awaited us as well. After ascending, Sun told us that it would take us about two hours to reach the summit. The sun usually rises at about 5.15am in Sapa. The light on the right is coming not from the sun but from the cable car station. 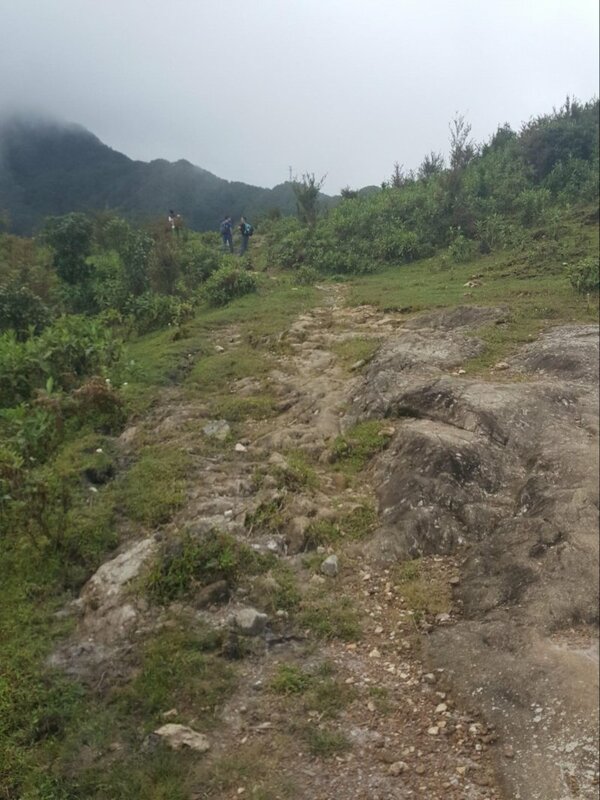 Most of the route to the summit consisted of steps and clear paths and it only got technical during small segments. 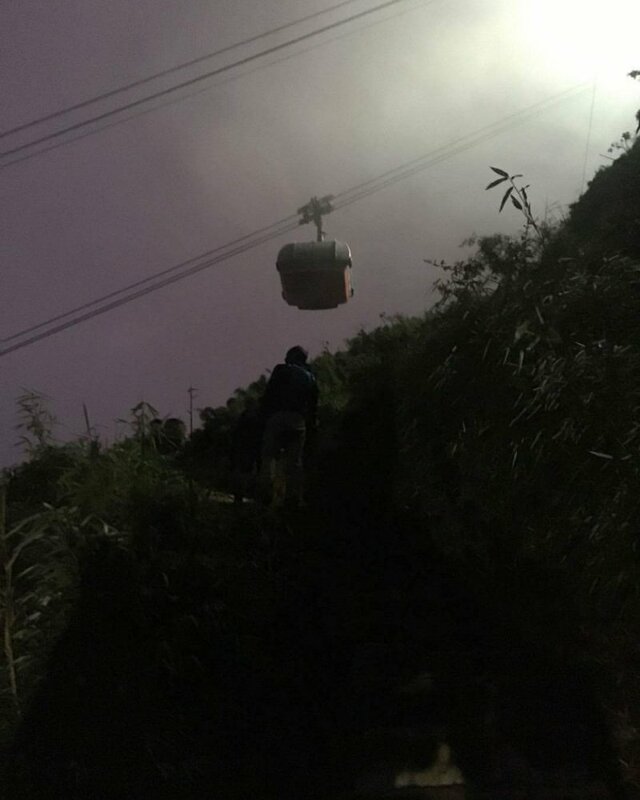 On the way up, you could see the brightly lit cable car stations and cabins atop Fansipan. At 3,000m mark, 630 concrete steps awaited us. There were also two majestic temples and a giant Buddha statue alongside the Cable Car station. In need of inspiration to conquer the flight of steps, we turned to Rocky Balboa. 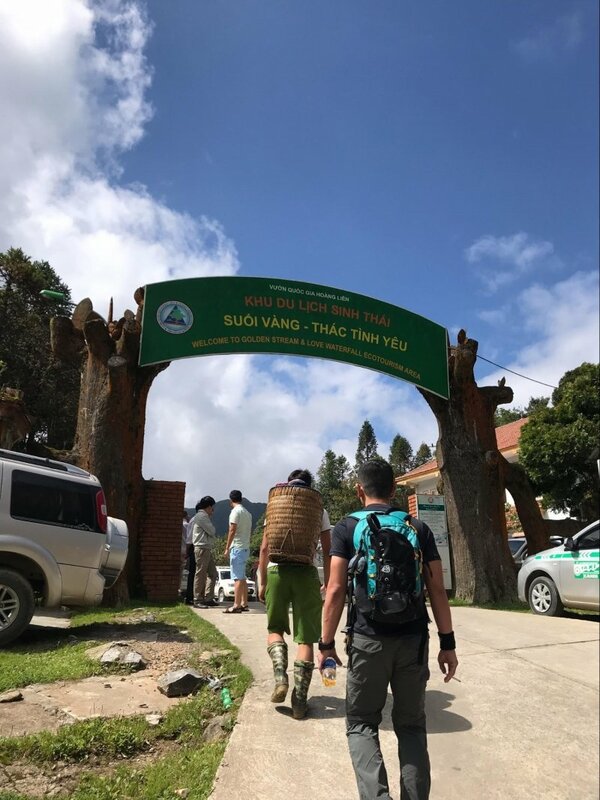 As we edged closer to the summit, we noticed that there were even queue barricades set up to ensure that tourists wait their turn to go to the summit. At the summit itself, there were even replica summit stones so as to avoid overcrowding at the original summit stone. There are about five of these ‘alternate’ summit stones at the summit for tourists. A man-made promenade was built around the original summit stone too. Thankfully, as climbers, we had the summit all to ourselves and could take our time with the photos and enjoy a beautiful sunrise. At about 5.15am, it was still very misty so we couldn’t see the first light clearly. The mist cleared after about 15 minutes and the view of the sunrise and the rest of Northern Vietnam was simply spectacular. We spent about 30 minutes taking it all in at the summit and then went to check out the two temples. 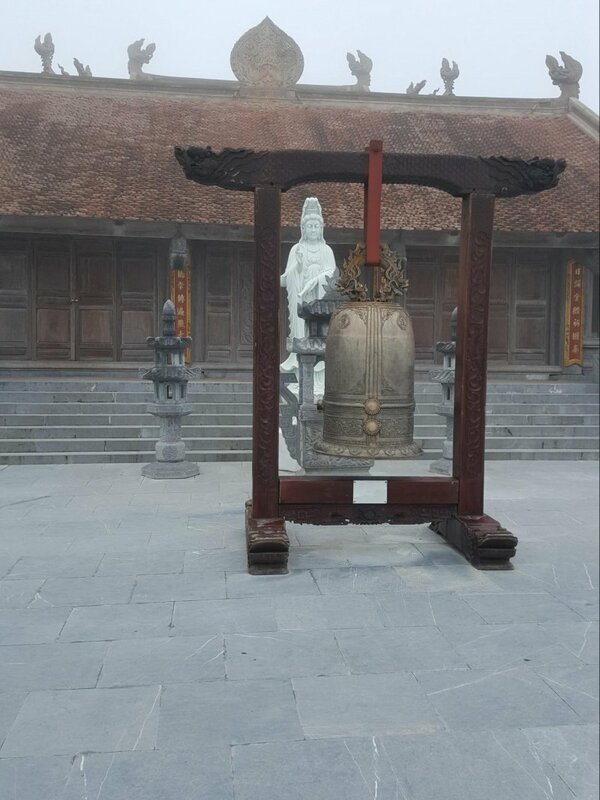 The restrooms in the Buddha temple come with hot water faucets so if you wish to freshen up before heading down, that would be the best place. Sun advised us to opt for the cable car instead of climbing down as a thunderstorm was forecasted. We heeded his advice without much objections. The cable car ride down took about 15 minutes. On our way down, we saw cabins packed to the brim with tourists heading to the summit. 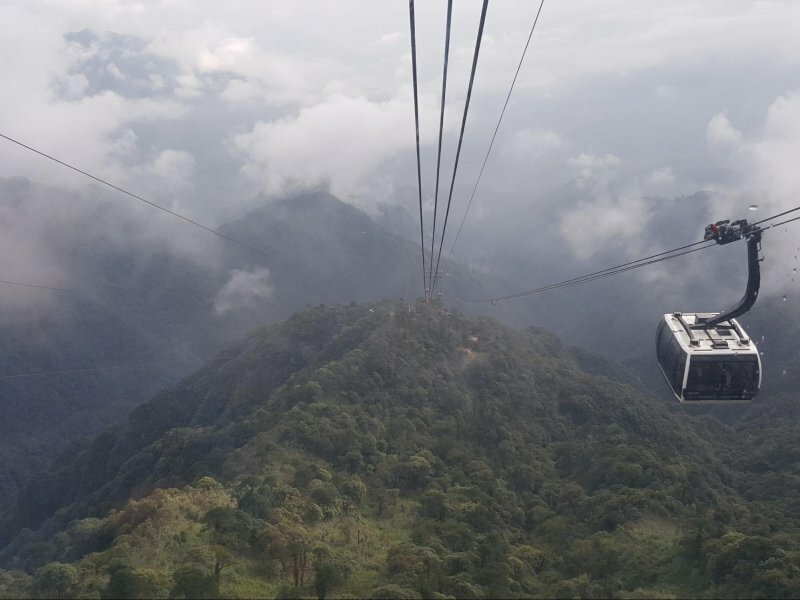 Having tried both the cable car and the two-day climb, I am of the opinion that the best way to experience all that Fansipan has to offer would be to climb it, watch the sun rise over the roof of Indochina, which you can enjoy in all its peace and serenity, and then reward yourself with a scenic cable car ride down. The difference between your summit experience via a climb and via the cable car is best illustrated by the two pictures below. The Fansipan climbing industry has already been stretched thin because of the cable car, and it is hard to say how much longer it can sustain itself. So if you’re planning to experience the Roof of Indochina in all its glory, it’s best to do it as soon as you can. Ariffin Sha is a law undergraduate who loves tales about mountains and unorthodox destinations. 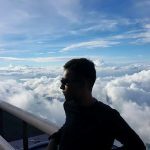 It is his dream to write his own stories about mountains and unorthodox destinations, one trip at a time.